Offering a seasonal outdoor pool, this motel is 5 minutes' walk from downtown Santa Cruz. It offers free WiFi and free parking. The air-conditioned guest rooms at The Islander Motel are equipped with a 40-inch flat-screen HDTV and free local calls. A microwave and a refrigerator are featured in all rooms. A 24-hour reception is available to guests of the smoke-free Islander Motel. The famous Santa Cruz Boardwalk is 1.2 km from this motel. Cowell's Beach is 5 minutes' drive away. The University of California, Santa Cruz is 2.5 miles away. Make yourself at home in one of the 27 air-conditioned rooms featuring refrigerators and microwaves. Flat-screen televisions with satellite programming provide entertainment, while complimentary wireless Internet access keeps you connected. Bathrooms have bathtubs or showers and complimentary toiletries. Conveniences include irons/ironing boards, and housekeeping is provided daily. Make yourself at home in one of the 50 air-conditioned rooms featuring refrigerators and LED televisions. Complimentary wireless Internet access keeps you connected, and satellite programming is available for your entertainment. Bathrooms have showers and hair dryers. Conveniences include desks and microwaves, and housekeeping is provided daily. Make yourself at home in one of the 36 air-conditioned rooms featuring refrigerators and microwaves. Wired and wireless Internet access is complimentary, while 32-inch flat-screen televisions with cable programming provide entertainment. Private bathrooms with shower/tub combinations feature complimentary toiletries and hair dryers. Conveniences include coffee/tea makers and irons/ironing boards, as well as phones with free local calls. 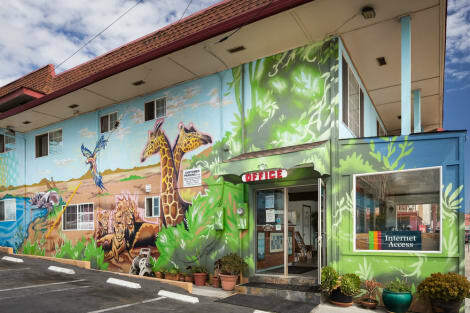 With an inspired vision in place, Beach Street Inn and Suites, formerly The Terrace Court Motel, was recently purchased by two local families who immediately started renovating the old Santa Cruz Motel. 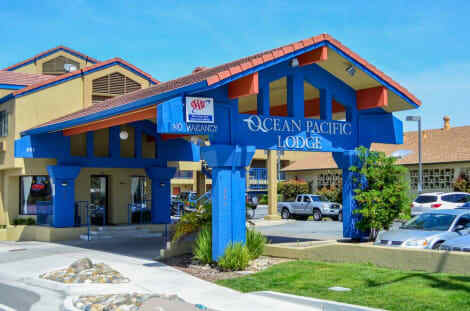 The new renovations have transformed this singular ocean front property into the premier Boutique Inn and has been rated the best hotel in Santa Cruz by Trip Advisor. Perched atop one of the most spectacular scenic vantage points on the Santa Cruz coastline, Beach Street Inn and Suites offers guests breathtaking views of the Monterey Bay. Beach Street Inn and Suites is within walking distance of the Boardwalk, the Municipal Wharf, and the eclectic Downtown, where visitors can enjoy a wide variety of restaurants, shops, art galleries, museums, cinemas and pubs. the hotel's newly renovated rooms offer guests a full range of amenities, including full kitchens or kitchenettes, ipod docking stations, DVD players, flat screen TV's, free HBO and free Wi-Fi. Beach Street Inn and Suites also offers conference space for small groups of up to 25 people. lastminute.com has a fantastic range of hotels in Santa Cruz, with everything from cheap hotels to luxurious five star accommodation available. We like to live up to our last minute name so remember you can book any one of our excellent Santa Cruz hotels up until midnight and stay the same night.